Conner has been taking photography as long as he has been able to hold a camera. He has always been interested in photographing his family, vacations, and nature. Conner has been studying photography privately and has taken his photography to the next level. In the past three years Conner has displayed pictures at our State Capital. In 2017 Conner has been working as a Still Photographer for Documentaries and movies, such as Othello-San. Conner has been one of the photographers for the Autism Society of America’s national convention since 2014. 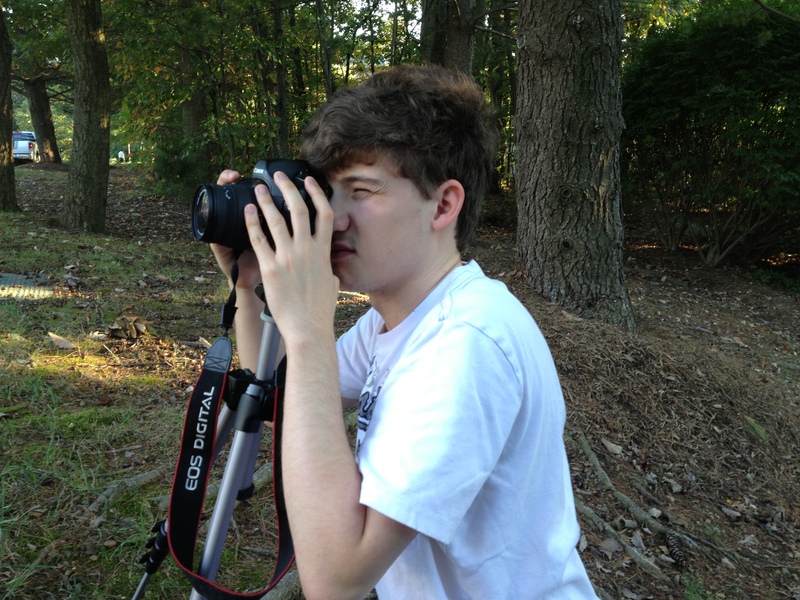 Conner also photographs numerous local conferences, races, events to include the Autism Society of Northern Virginia, the Arc of Northern Virginia and Cindy’s Legacy. Conner was the photographer for the Graduate school of Education & Human Development at George Washington University a retirement for 3 Deans, and numerous charity fashion shows. Conner also won Honorable Mention at the Loudon County Photo Expo for his beautiful butterfly photograph. Conner is a published photographer where he has pictures displayed in a book titled ‘Presidents’ Garden’. Currently Conner is the only known Autistic photographer working professionally in the Washington D.C. area. Conner’s pictures have been selling for $100.00 each paper framed and $250.00 each framed. In an auction one of his pictures went for $1000.00. Conner is available to photograph any of your events and family portraits. You can also purchase any of Conner’s pictures on line or we can bring them to your event to be sold. Please contact us to see how we can work with you.